Whether you want an apres ski glass of wine or a delicious dinner at Supper Club, the Clubhouse is your perfect location. 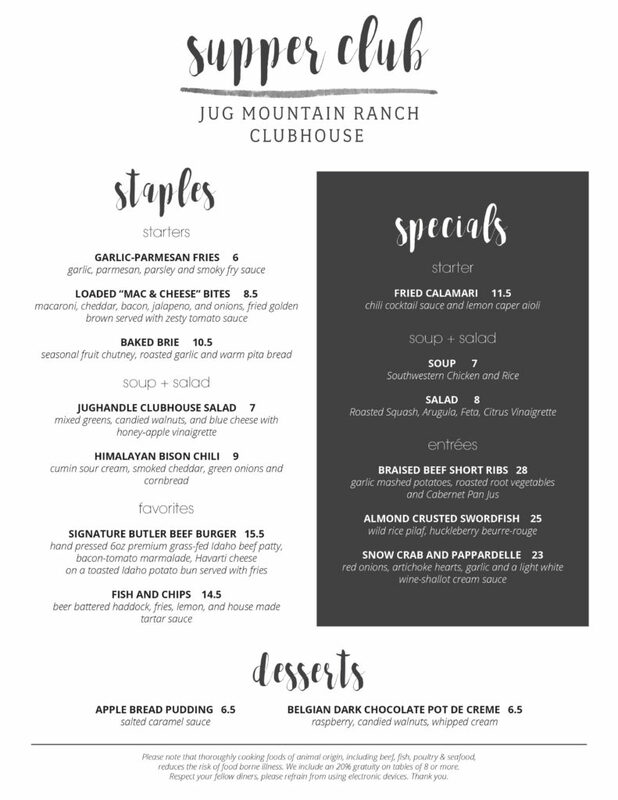 Nestled at the base of Jug Handle Mountain, enjoy the spectacular views and sunsets from our beautiful dining room and bar. For inquiries about functions and events please email events@jugmountainranch.com. The Clubhouse Restaurant is excited to bring back Supper Club Friday, Saturday and now SUNDAY nights starting December 14th! Join us for a dinner and drinks in the Clubhouse each Friday, Saturday, and Sunday evening this winter. We will be open for drinks and apps at 4pm with dinner starting at 5pm. The Clubhouse is a great place to come out of hibernation and meet with friends or warm up after some time on the trails. Sunday evenings will feature special events to accompany Supper Club including live music, wine and spirit tastings and more. 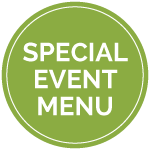 Follow us on Facebook for weekly menus and Sunday special events! The social experience and menu at the CLUBHOUSE RESTAURANT continue to grow and flourish, making it a culinary favorite.